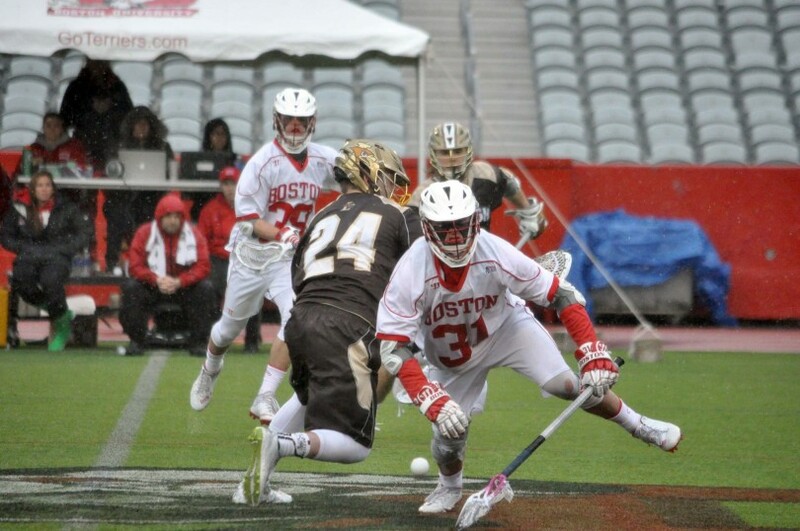 The Boston University Men’s Lacrosse team has one final contest before it closes out its season. On Sunday afternoon, the Terriers will host the Duke Blue Devils for the second time in the program’s history. BU is likely out of the NCAA tournament after missing out on the Patriot League tournament, while Duke has already lost in the ACC championship game to Syracuse and is looking to make the post season as an at-large team. It will be the last look at BU this season, and it will close the year at Nickerson Field. Going into this game, Jack Wilson is the team’s leading scorer with 34 points. Freshman James Burr is second on the team with 31, and leads the team with 25 goals in his first season. Despite not making the post-season, and closing the season on a four-game losing streak, plenty of positives emerged for the Terriers in 2016. Only graduating two seniors, neither of which are regulars on the offense, means that BU can come back next season stronger. Juniors Cal Dearth and Sam Talkow each were named First-Team All-Patriot League, while junior defender Greg Wozniak made the Second-Team. Talkow also won the conference’s faceoff specialist of the year award. Duke, 10-7, is ranked #10 in the nation. Led by Tewaaraton leading candidate Myles Jones, the Blue Devils are easily the toughest team BU has faced all season. Sophomore Justin Guterding leads the team with 66 points, one ahead of Jones’ 65. Deemer Class, Jack Bruckner, and Case Mathis also have more than 50 points each, while Matt Landis is one of the best defensive players in the country. However, after loosing in the ACC Championship, Duke could be an odd team out of the tournament. With Syracuse winning the conference, and Notre Dame and North Carolina finishing with better conference records, the Blue Devils are on the outside looking in. The college lacrosse season is wrapping up, and we’ll know on Sunday night which teams will make the tournament. Thanks to some huge upsets on Thursday night, there will be plenty of new faces in post-season play. 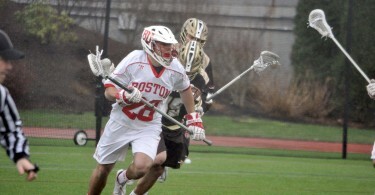 For BU, the focus is on closing the season strong against a perennial powerhouse.